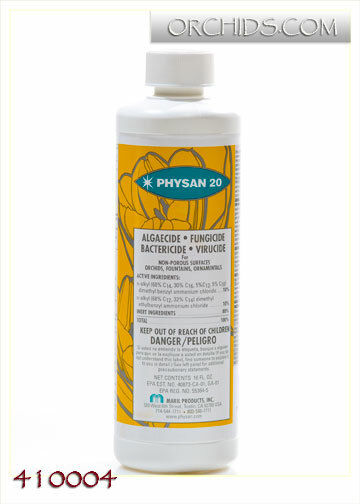 Physan 20 is an excellent bactericide, fungicide, viricide and algaecide. We use this product at rate of 1 teaspoon per one gallon water of dilution and drench all our Orchids once a month. It is a good disease prevention tool. It will kill fungi and bacteria spores on contact. It is extremely effective against Crown Rot , Botrytis and is very effective in controlling algae which is the main cause of fungus gnats. 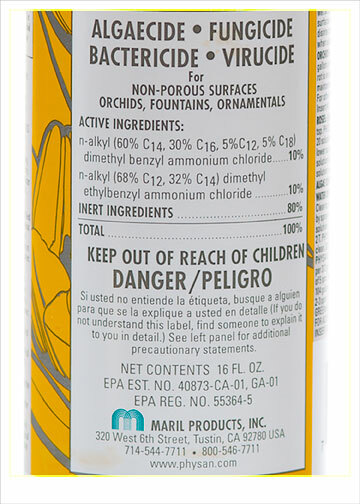 EPA approved to use on Orchids and Indoor. Biodegradeable in 24 hours. A must supply for ever orchid collection.